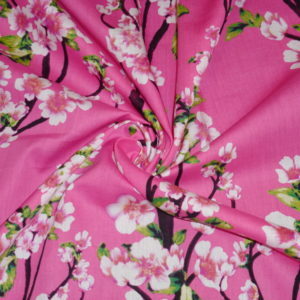 Here is a pretty conversational cotton print of cherry blossoms on a pink background. Perfect for that summer dress or shirt. 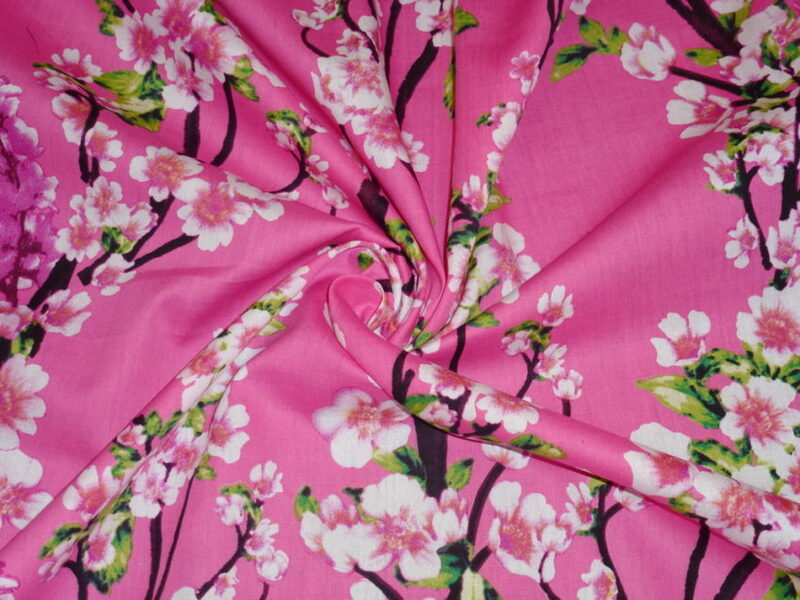 Maybe a vintage inspired garment! Or because of its Asian flavour, a kimono. (Hmm … where are my Gertie sewing patterns?) It is light weight (not as heavy as a quilting cotton) and has a slight crispness to its hand. The print has a vertical repeat of 74cm or 29 1/4″.